Make drinking water that bit more interesting with this refreshing drink idea. Freeze the watermelon to form "watermelon ice cubes". Fill a jug 3/4 of the way up with cold water. Peel the grapefruit in ribbons. 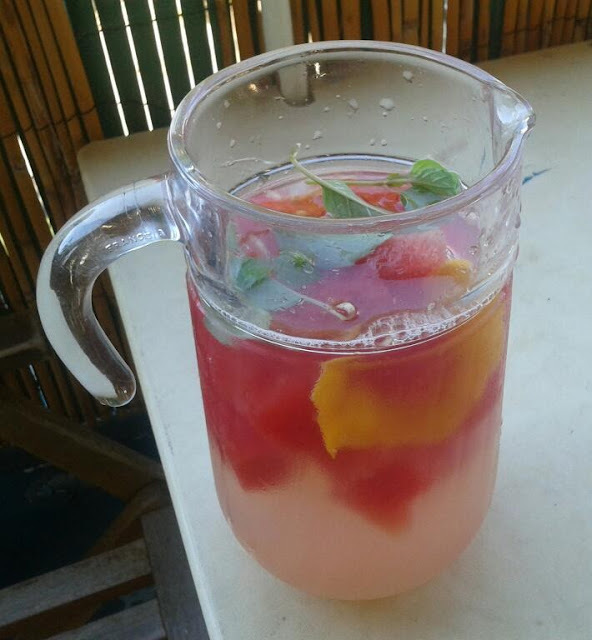 Add the grapefruit peel, freshly squeezed grapefruit juice, frozen watermelon cubes and fresh herbs to the water. What's the local market name for mint leaves?